As part of our Ultimate 80s Movie Poster contest, Graphic Stock is sponsoring a design series on SitePoint. The topics discussed in these articles — Photoshop editing and 80s font selection — can be used to help you win the contest. Sign up for a Graphic Stock trial and get ready for your chance to win the $5000 first prize. 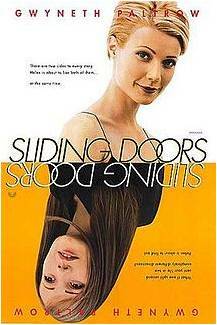 The film takes the viewer through two storylines simultaneously, each set in a parallel universe, showing the two different paths her life took depending on whether she either caught or missed a particular train on a particular day. For example, in one universe she arrives home early to discover her boyfriend cheating on her. In the other, she arrives home too late and is unaware of the infidelity. The differences between the two universes continue from there. This idea of alternate histories or parallel universes even stretches to the casting of movies themselves. For instance, did you know that Eric Stolz, the drug dealer in Pulp Fiction, was originally cast as Marty McFly in Back to the Future? 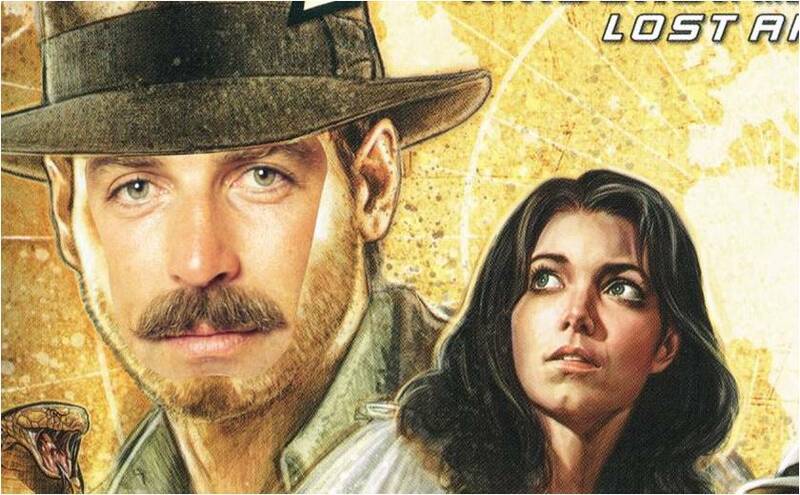 It’s hard to imagine now but it was a “Sliding Doors” moment — who knows how film history would have changed if this casting had stuck? 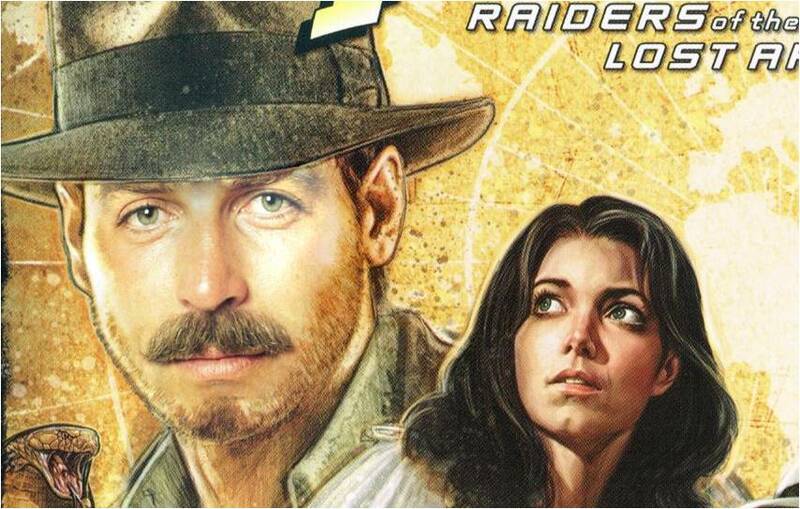 A similar situation almost occurred with Indiana Jones. 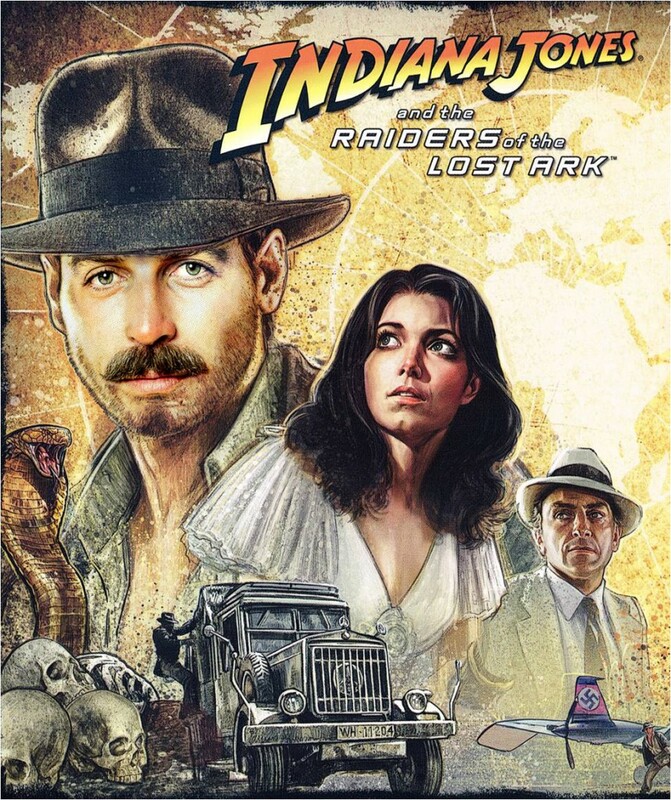 George Lucas wanted Tom Selleck (Magnum PI) to star as the beloved Indy because he didn’t want Harrison Ford to become his “Baby Bobby Dinero.” As it turns out, after Selleck conducted some screen tests for the role he decided to go with Ford. 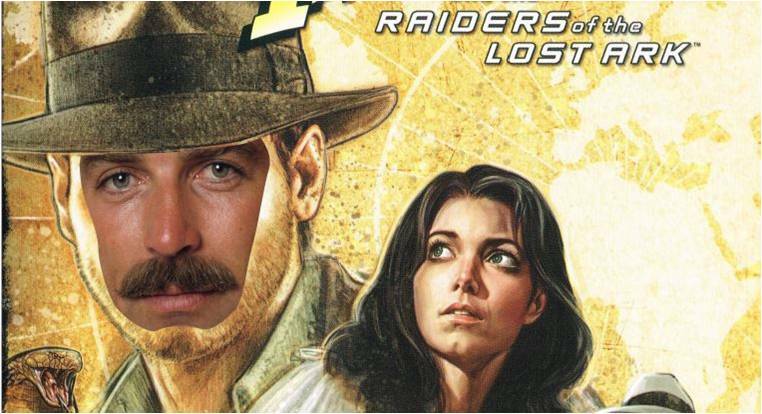 This begs the question: What if he we went with Selleck? 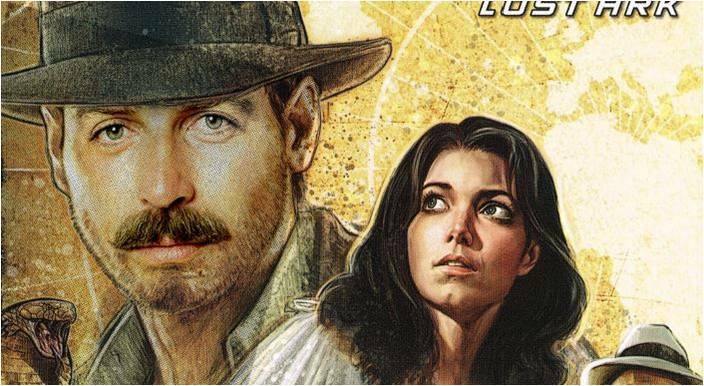 While we’ll probably never know the answer to this question, we can at least get a clear image of what Selleck would’ve looked liked as Indiana Jones compared to Ford. 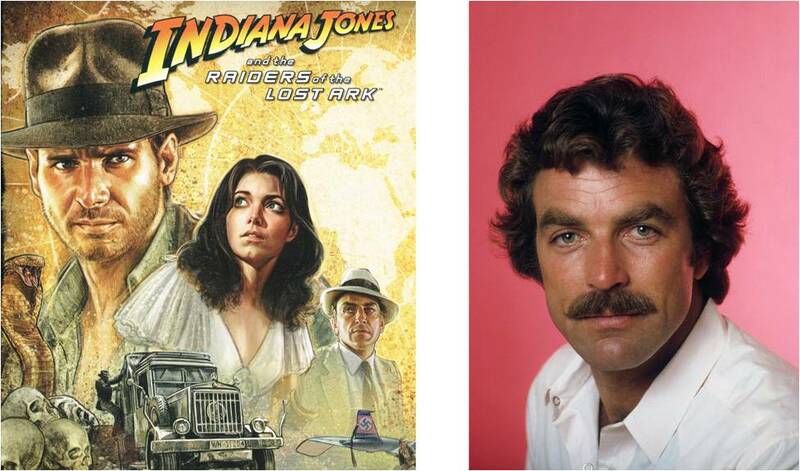 In this post, we’re trading in our Delorean for Photoshop and learning how to reshape the ‘80s universe into one in which the mighty Tom Selleck ruled the movie screens. To make your face swap work, you need to make sure that the two images you choose are similar in size and resolution and To ensure your face swap works, you need to find two images, which are similar in size and resolution, with nearly identical poses. For example, both people’s heads need to be tilted or turned the same way. I’d also try to select images with similar nose and mouth angles. Below you’ll see the two images I will be using. While I mentally aligned the images in my head to see if they would work, you can opt to overlap them in Photoshop to see if your selections work together. As you can see above, the images I chose look pretty good here. 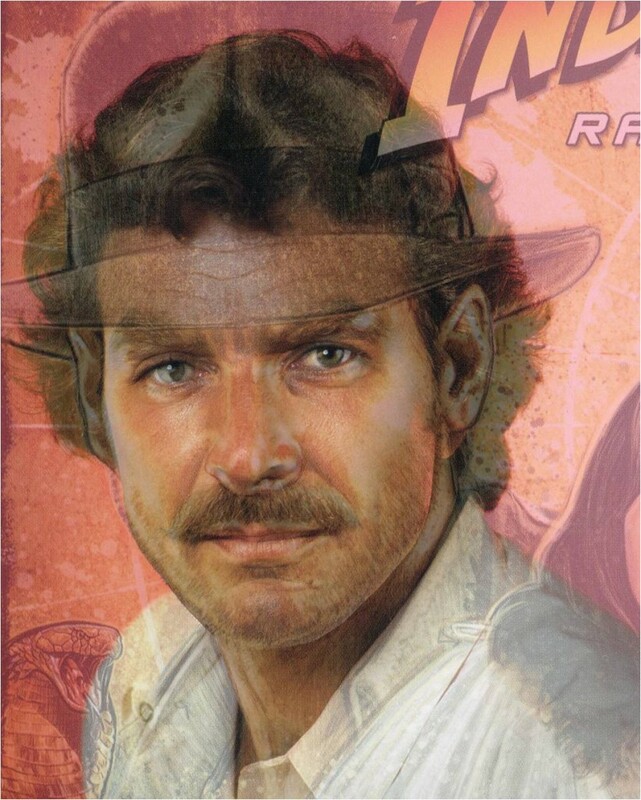 Now that we’ve selected our images, we need to get Selleck’s face on Ford’s. To begin, you simply need to isolate the main facial features, including eyebrows, eyes, nose and mouth. You can do this using either the Lasso Tool or the Pen Tool. To get nicer edges and curves for blending, I recommend the Pen Tool, but either will work. 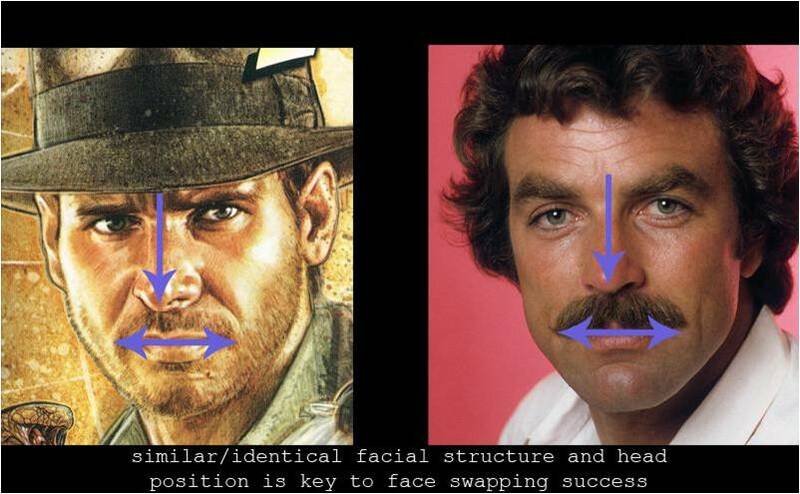 With the face selected simply copy it (CTRL + C or CMD + C) and then paste it onto your working canvas with CTRL + V or CMD + V.
Next, we need to move Selleck’s face on top of Ford’s. 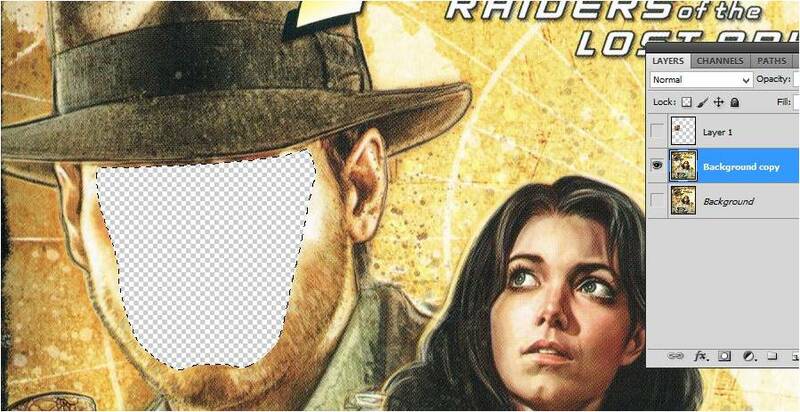 Reduce the face layer’s opacity by around 50% or until you can see both layers. 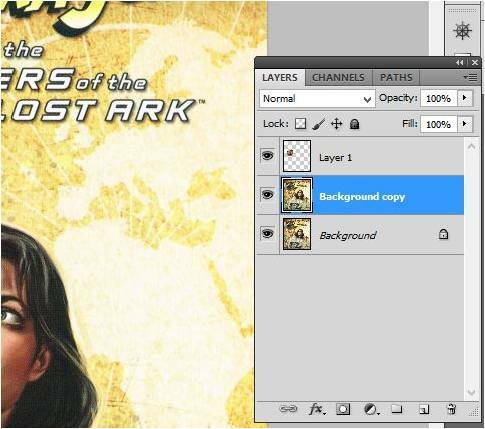 Then use the Transform Tool to make adjust the layer for proper placement. 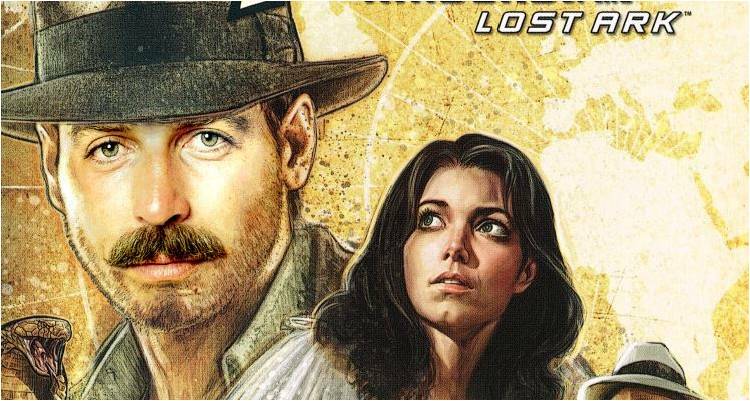 Now, erase the excess parts of Selleck’s face that should be currently covered by the hat. Before we blend our layers we need to clean up a bit so that our end result looks virtually seamless. 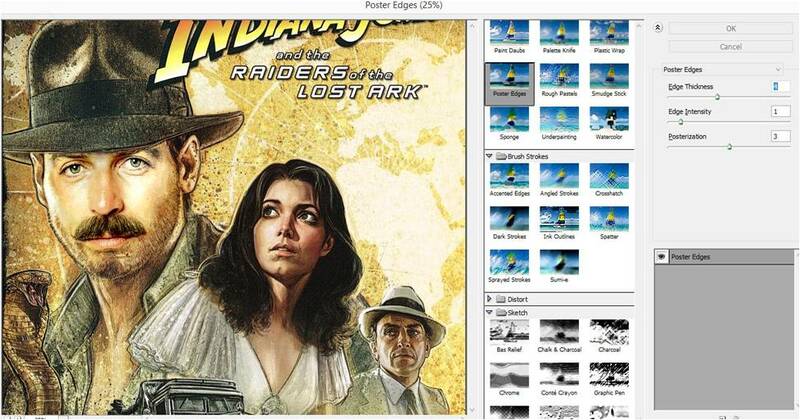 First, duplicate the poster image so you have three layers like the screenshot below. 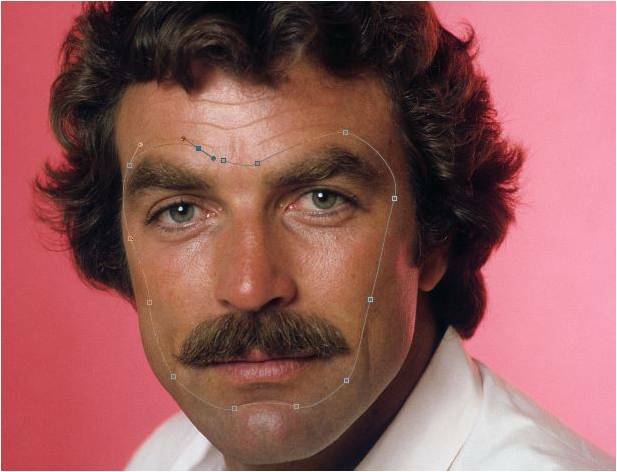 Using the Wand Tool, select around the inner portion of Selleck’s face. We’ll use this selection as our blending guideline. 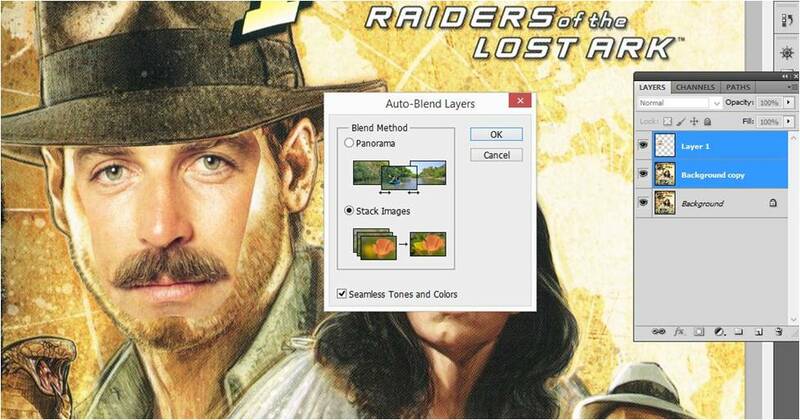 Next, hide this selected layer and the original image to make it easier to see what you’re working on. Click on the newly duplicated layer then go to SELECT > INVERSE > MODIFY > CONTRACT > 12px then press OK.
Click DELETE so that Ford’s face is just a big hole, like the screenshot below. It’s time to blend these layers. Next, select only the top two layers then go to: EDIT > AUTO-BLEND LAYERS > STACK IMAGES > OK. Important Note: Notice how I have the “Seamless Tones and Colors” box checked, this is important. The below shot is what your blended image should look like now. 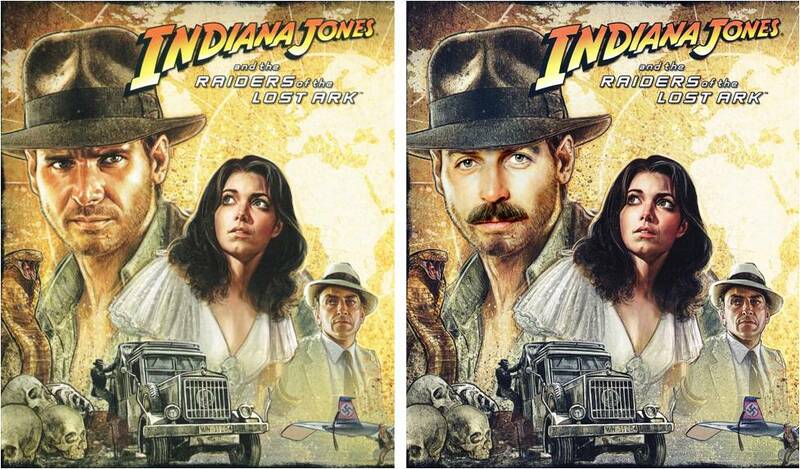 Since we want a realistic face swap and an ‘80s retro-type look, we need to make some color corrections before we add extra effects. 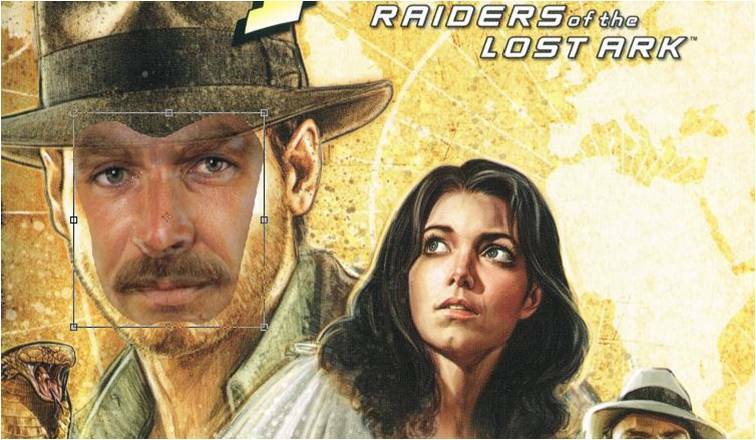 Begin by adjusting the facial levels. Go to EDIT > ADJUSTMENTS > LEVELS. 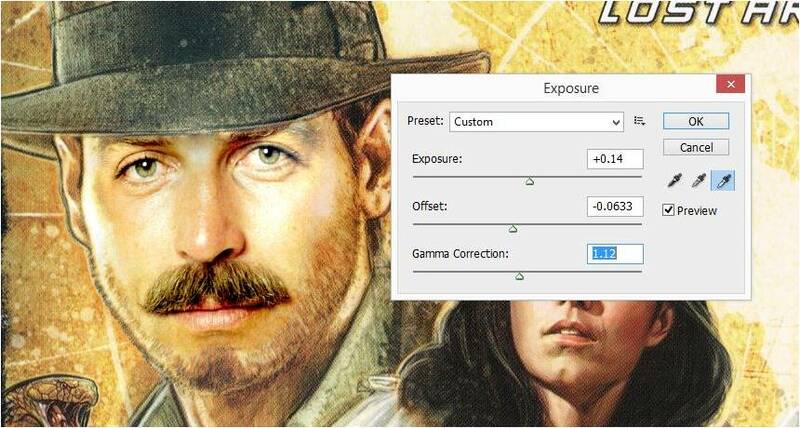 Then, go to: EDIT > ADJUSTMENTS > EXPOSURE. 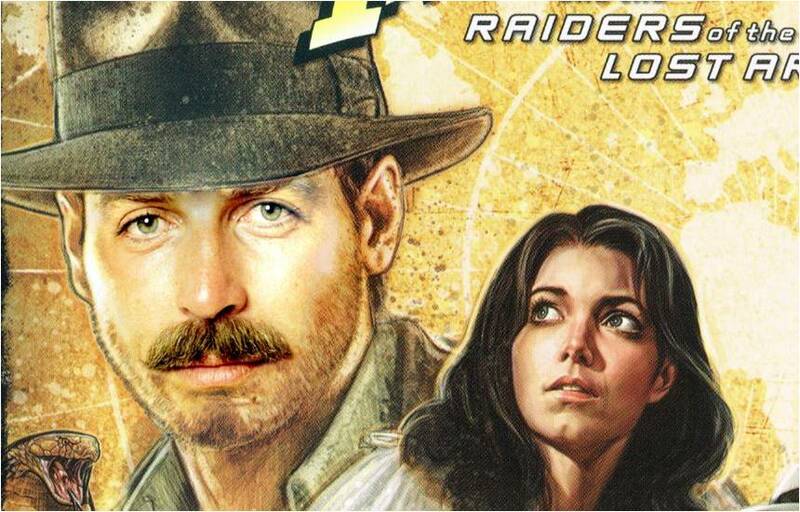 With the color of the layer containing Tom Sellack’s face edited pretty close to the rest of the original skin tone, I went in with a soft round brush and erased around the bottom lip to expose more of the facial hair. Now, it’s time to nail the retro-look we’re aiming for here. 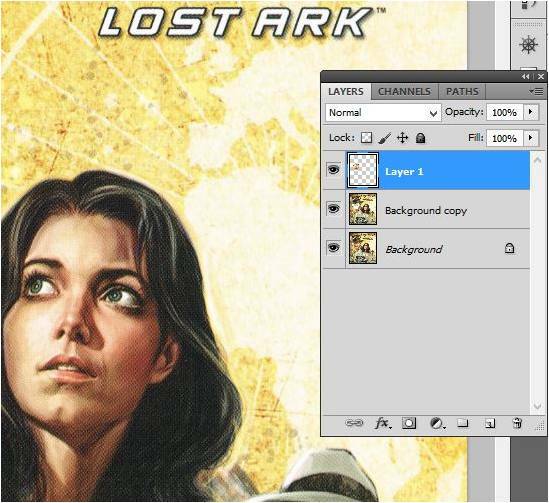 First, merge all layers; then duplicate the image so you have two layers. Select the top layer, and go to: FILTER > ARTISTIC > POSTER EDGES. Lower the opacity – around 66% should work. Next, apply your texture, and make sure to position it on the majority of the face. 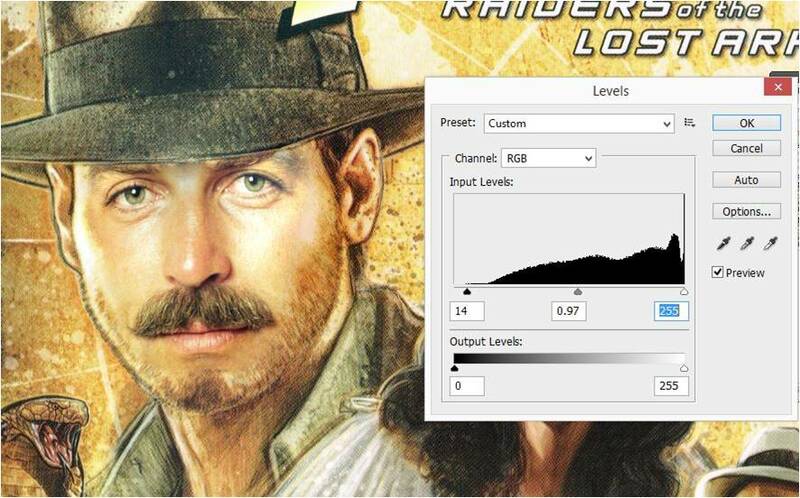 Then change the layer mode to MULTIPLY. Erase the excess and drop the opacity to 29%. Finally, add any additional desired tones, shadows, highlights or whatever else your little heart desires to make your poster pop. Show us your results in the comments below. We’re dying to see how yours’ turned out.